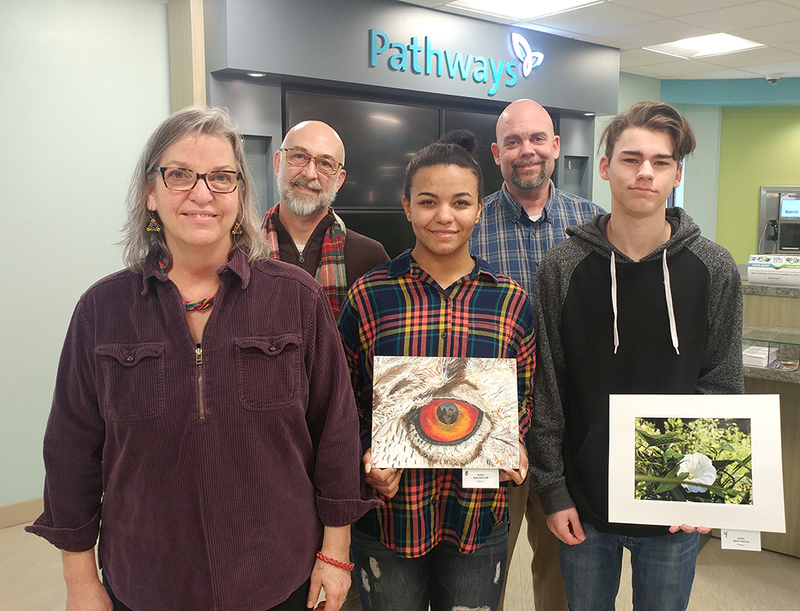 Pathways’ Casino District Branch hosted a Reception on Saturday, Jan. 26, for student artists from Grove City High School whose art is featured on our Community Wall and in our lobby. Pathways also made a donation to the school’s art department. The artists and their families mingled with branch staff and the high school’s art instructors. Grove City High School art instructors Suzanne Moore and Brian Bosworth, student Mya Fuller, Branch Manager Chad Fields, and student Nick Poole. Not shown is GCHS instructor Hannah Mayle. 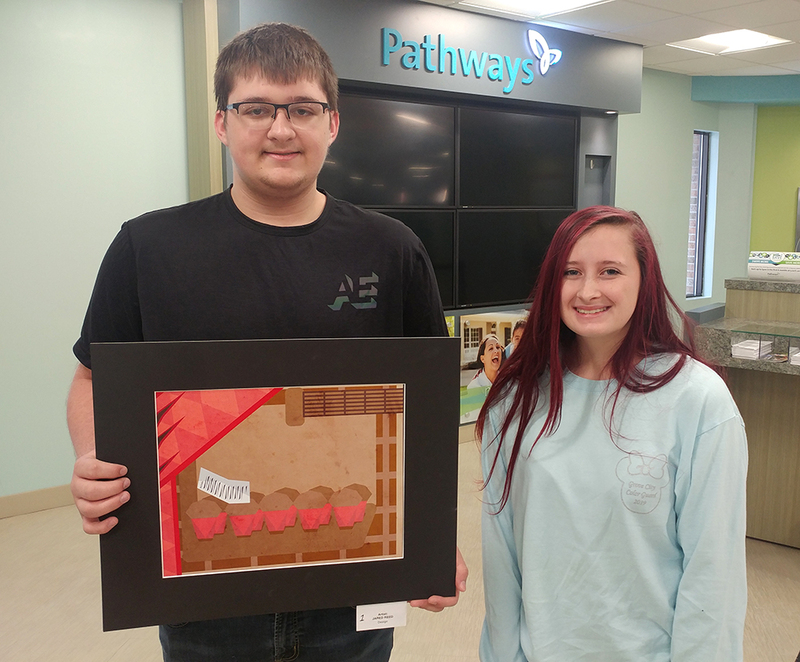 Grove City High School student artist Jared Reed and his sister stopped by the reception at Pathways’ Casino District Branch. 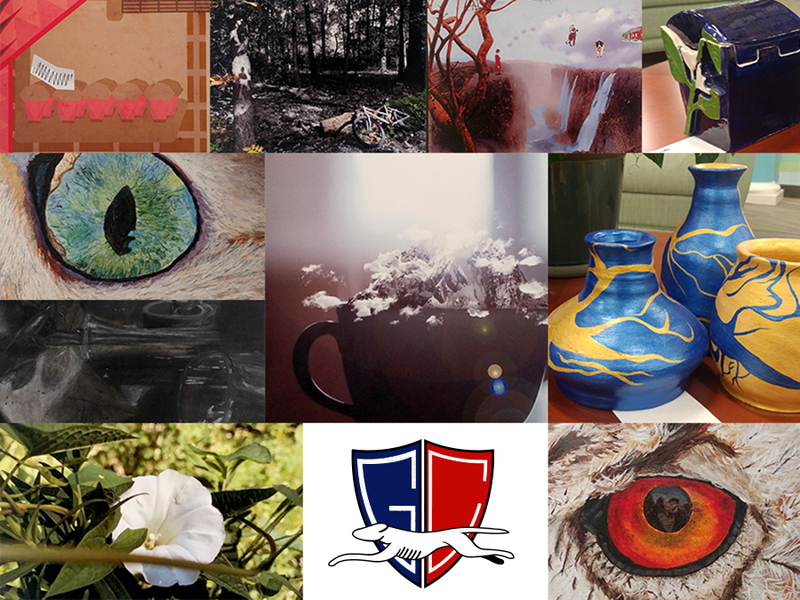 Art by Grove City High School students was featured in an Art Show at Pathways’ Casino District Branch in December and January.